I’m currently the strongest and leanest I’ve ever been at my current body weight. I attribute that to smarter training and therefore reduced injuries. ithlete has played a big role in guiding me to this level. I played a variety of sports during school and college, including hockey, rugby and football. 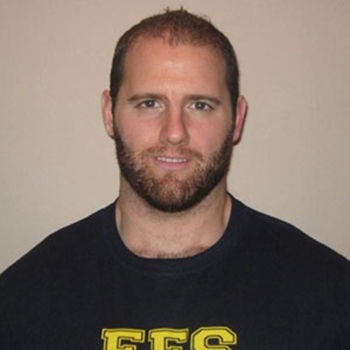 Once I completed my undergrad I wanted to remain competitive in something and so started to compete in Powerlifting. In 2010 I won the Canadian Amateur Championship at Raw Nationals in Toronto. I completed a research project on HRV and its application to monitoring athletes, which convinced me that HRV guided training was going to be more effective. Many studies showed that HRV reflected recovery status; that adaptations were better in athletes with higher HRV; that HRV guided training was more effective than pre-planned training, etc. I had also read about ithlete over the years but didn’t have a compatible device. In preparation for the 2011 Raw Nationals I increased both the intensity and volume of workouts and was seeing incredible progress. I was well on my way to breaking my records from last year at a lighter body weight. Toward the end of one of my training cycles I caught a small cold and took about 5 days off from training. When I returned to my training the weights felt like a million pounds. I was unable to get things back on track and ended up pulling out of the meet. It was my failed meet preparation for the 2011 Nationals that finally made me decide to get ithlete, so I bought an iPod touch specifically. Training hard with an amber or red indication will result in a further decrease in HRV the next day(s) and delayed recovery. Reducing loads or taking a rest day will almost always allow HRV to climb back up to baseline the next day. Doing a style or type of training you are not accustomed too will be very stressful on the body which is reflected by a low HRV score the next day. However, over time you will see less magnitude in the fluctuations and you can literally see yourself adapting to the training. Lifestyle factors, such as diet and travelling, sap adaptive reserves and effect training. HRV reflects illness and recovery. When I contracted hand, foot, and mouth disease the symptomatic phase of the illness lasted 1 week and my ithlete HRV score returned to baseline as the symptoms resolved. However, for another 2 weeks my work capacity and strength levels were considerably lower than normal and I saw much larger fluctuations in ithlete HRV readings after moderate training sessions (RPE 7). There’s a strong possibility that had I not been monitoring my HRV with ithlete I would’ve trained hard after my symptoms subsided, which would’ve obviously been a big mistake. Through experimenting with my recovery strategies in response to my ithlete HRV readings I’ve learned that 20-40 minutes of active recovery work (light running, sled dragging, light circuits) typically improves HRV scores more so than passive recovery. Monitoring my HRV inspired me to change from percentage based training to using ratings of perceived exertion. I learned that strength levels typically fluctuate with HRV. My 1RM varies from day to day so the percentages I used weren’t real reflections of my present strength ability. I feel this is a much better way to match your training intensity with the present adaptive capabilities of your body. Last August, following a move to Pennsylvania, I increased my training to fit in with colleagues. About 6 weeks in I ended up pulling a muscle in my lower back during an easy set of squats with 60% of my 1RM. That morning my ithlete HRV score was 66.4, my baseline was between 77-80 at the time. Had I followed ithlete’s recommendation I may have avoided this injury, which is still causing me some minor low back issues now. Now I base my daily training load on my ithlete HRV score and colour indication. Rather than deloading every 3rd week as I used to, I reduce training loads when my ithlete HRV trend dips too low. Training this way has been very effective and I’ve made great progress. Very rarely will I deviate from this. My favourite feature would definitely have to be the ability to input my training loads and see the trend alongside my HRV data. This has given me incredibly valuable feedback as to the effectiveness of my training. I also make note of any joint pain, nutritional changes/observations, non-training related stressors, sleep quality etc. on the ithlete “notes” section. This allows me to keep all my data in one place for ease of access. I like that ithlete has given me better structure and organization of my training. It is a tool that allows me to manipulate my training loads on a day to day basis so that I can apply higher loads (stress) when my body can tolerate them and reduce them when it can’t. I’m currently the strongest and leanest I’ve ever been at my current body weight. I attribute that to smarter training and therefore reduced injuries; ithlete has played a big role in guiding me to this level. I expect to exceed all of my previous personal records in powerlifting at a lighter bodyweight this year.